So as 2014 comes to a close it’s time to look back on what the year has brought for me personally and of course the gluten free scene in general. Well let me get the personal stuff out the way first. To be honest it’s been a rubbish year and I’m more than happy to see the back of it. 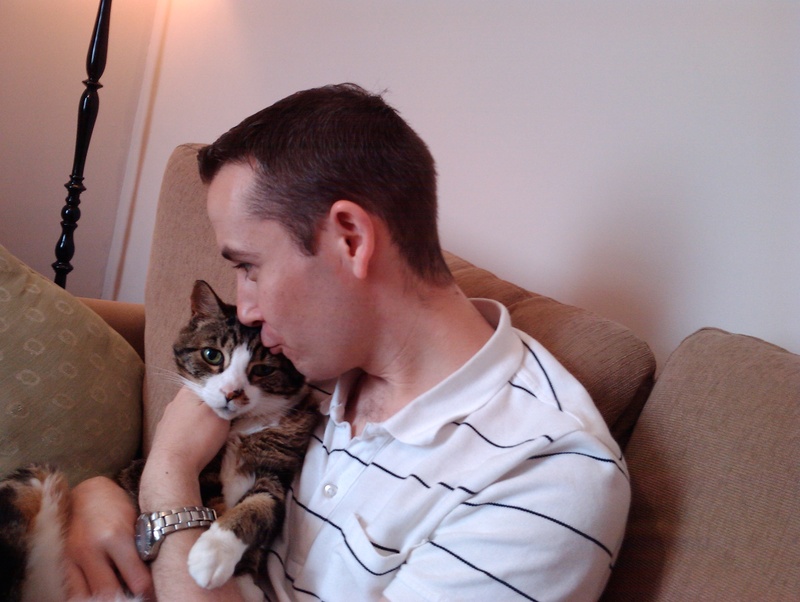 We recently went through a period where Abby lost a close friend, I found out I was being made redundant and then we lost our beloved cat Azreal. A tough time to say the least and I must admit I’ve struggled to find the time/enthusiasm to blog much recently as a result. Here’s hoping life and Gluten Free by the Sea are back on track in 2015! 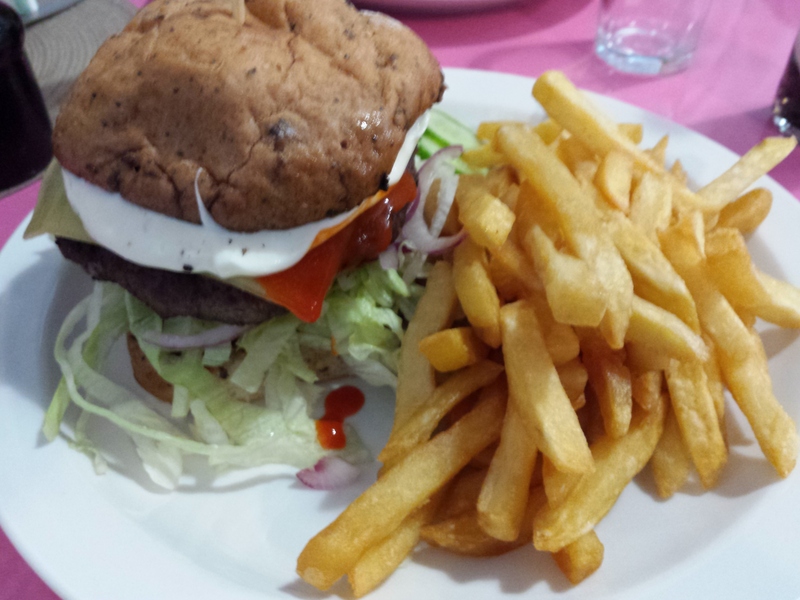 On to the more relevant stuff with a look at the gluten free scene in Plymouth this year. 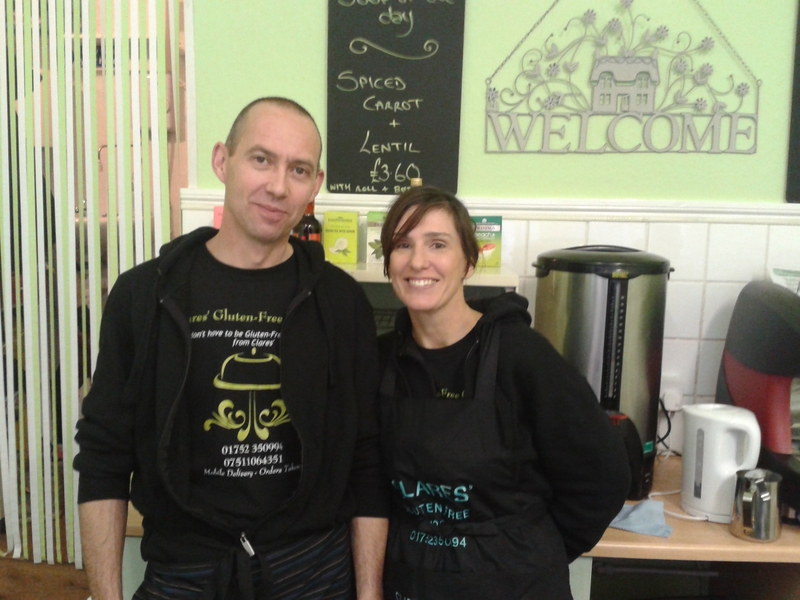 The year started with a bang as Clare’s Gluten Free Cafe opened as the first completely gluten free eatery in Plymouth. It was so great to have somewhere that was completely gluten free and not to have to worry about cross contamination at all, only what to eat! I was a regular there for lunch and the IT department at work grew very fond of the weekly cake run. Sadly the cafe didn’t make the end of the year which was a huge blow but a big thanks to Clare for all the delicious goodies whilst it lasted. On to more positive news and thankfully Plymouth has an all new completely gluten free restaurant that has recently opened, The Galley. Based in The Maritime Inn on The Barbican serving freshly cooked, reasonably priced pub grub it’s been great to have another safe haven. Emma and Mark are doing a great job and I’m already a regular, and I’m looking forward to many more visits in the new year. We’ve had to say goodbye to a few other Gluten Free by the Sea favourites this year too unfortunately. 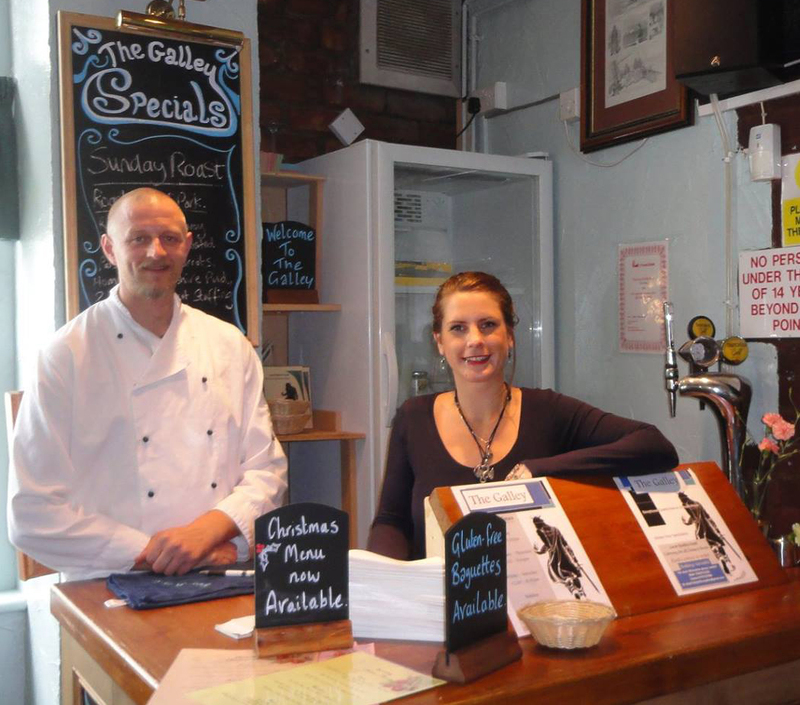 Traditional Puddings and Love Free From have ceased trading and Eggbuckland Fish and Chip shop changed owners and stopped their gluten free nights. The good news though is we’ve got to say hello to The Ladybird Bakery, Holland’s Diner, Soupy Do and gluten free days at the excellent Kingfisher Fish and Chip Shop. 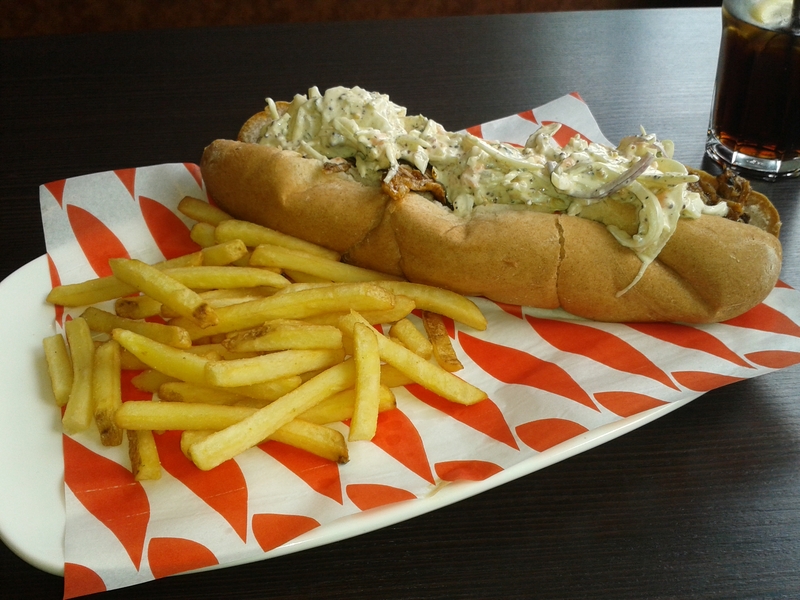 I couldn’t do a review of the year without mentioning the JD’s Grill hoagie! Being five minutes away from the office I have indulged in (probably too) many of these delicious six inch subs filled with amazingly cooked pulled pork or pulled brisket. Great value and an excellent gluten free lunch option in the city centre. JD’s continues to go from strength to strength and not only have their GF offerings improved over the course of the year, I think they’ve continued to push the quality of their food. They are becoming increasingly popular which is well deserved. JD’s hosted a successful GF night for the Coeliac UK Plymouth Group early in the year, and it has been a busy year for the group. In addition to the meal out we have managed to put on a couple of food fairs at the Elm Centre, a new members meeting and a fun day at Mount Edgcumbe. Thanks to everyone who has contributed to those events and I hope that you have enjoyed them if you’ve come along as a visitor. Next year is an important one for the group, by the time we host the AGM in March we will need to find a new Group Organiser and Treasurer in order to keep the group going. If you are interested in one of these rolls or a lesser role on the committee please do get in touch. On a wider note 2014 has been notable for the introduction of the new allergen laws recently. I’ve yet to really investigate how restaurants are coping with the changes, but for the most part the labelling on packaged products seems to be working fairly well. A thank-you here to Alex Gazzola for his tireless work trying to help us all fully understand the changes during the year. There are clearly still some grey areas that have been highlighted and I think it will take a little bit of time to see how well the changes are working. In terms of wider availability of GF foods this year it has been good to see Costa finally launch a savoury option. I try and support local when I can but it’s always good to see another on the go option. Frankie and Benny’s have also added a GF menu this year and Marks & Spencer have continued their impressive work expanding their free-from range. Pret have also added a “gluten free” wrap, though there are still many questions to be answered as to whether that option is safe for coeliacs. Finally let me take this opportunity to wish you all a very merry Christmas and a happy new year! I hope that 2014 has been kind to you and that 2015 will be an even better one for us all. A huge thank-you to everyone who has supported me throughout the year, whether that be by reading the blog, help and conversation on social media or supporting our events. You are all amazing! Thank you for the mention Kevin. I look forward to sharing more freefrom issues with you in 2015. Sorry you’ve had a rotten year, my fellow Mr G – but all the best for you, Abby and indeed GFBTS in 2015. Thank you for the mention – I’ve only worked in brief bursts in trying to ‘get’ the new laws, but there are loads of people out there who have done lots, and some far more than me, such as the FSA, the charities, Michelle at FM, other bloggers and writers, lots of ordinary folk on social media, people who are involved in training etc … between us all, we’ll get there! I reckon its time for a fresh new year …so I hope 2015 is a great year and thanks to good people like you, a safe exciting gluten free one. Happy Christmas and all the best …Jig it in Kevin.